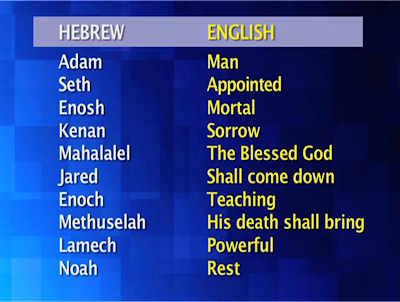 GOD has several Hebrew names; Elohim (Authority God), Adonai (Master), El Shaddai (Almighty God)... The Bible records more than a dozen of GOD's Name . Yahweh is called Tetragrammaton or 4-letter word in original Hebrew text referring to GOD. It spells יYud, הHei, וּVav and הHei. 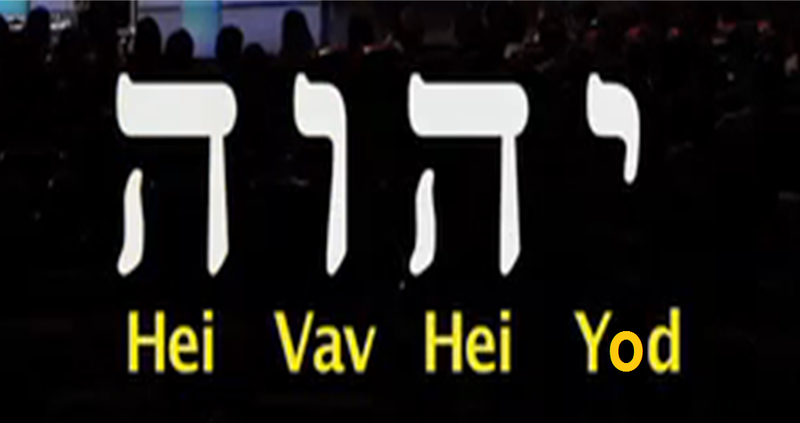 Yahweh is the most sacred, highly regarded name of God for the Hebrews. For the Orthodox Jew, the יהוּה Tetragrammaton is never spoken, only written. Only the High Priest can speak this name with fear and reverence and only on a very special day of the year, the Yom Kippur. Since 70AD, after the 2nd Jewish temple was destroyed by the Roman soldiers, the ceremonial rituals of this celebration ceased to be performed. After almost 2,000 years of silence, scholars can only speculate wether there is someone who could actually pronounce the original Tetragrammaton perfectly since it is all consonants and no vowel. 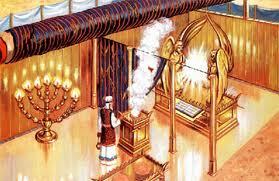 Today in synagogues during Scripture readings, "Adonai" (Master) is spoken in place of "YHVH." In a regular conversation or in written documents the Orthodox Jews substitute "HaShem" (The Name) to provide further protection of the Name YHWH. The English name Jehovah was coined by Roman Catholics during the Middle Ages resulting from a misunderstood Masoretic Hebrew texts. The consonants Y-H-V-H (the "Y" used to be pronounced as "J") and the vowels from the word "Adonai" combined to form the word Jehova. It is interesting to note that the first time the Tetragrammaton appeared in the scripture was after He created man in Genesis 2:7. Yahweh is the covenant-keeping GOD. The GOD who have a relationship with man. Before GOD created man, GOD was called Elohim. The hand of grace nailed in grace! The end is declared from the beginning BUT in RIDDLES. is the WORD revealed to John. Jesus Christ is Aleph Tav! He is present when everything was created. He was at the center of the happening. Four times Jesus said in Revelation: "I am Alpha and Omega..." Revelation 1:8; Revelation 1:11; Revelation 21:6; Revelation 22:13 John, who saw the vision he wrote in the book of Revelation, was Hebrew-speaking. When Jesus said Alpha and Omega, He said it in the language John can understand, in Hebrew. Alpha and Omega is the first and last letter of the Roman Alphabet, translated to Hebrew is Aleph Tav; the first and the last letter of the Hebrew Alephbet. Jesus Christ is incscribed in the Bible, from the first (Genesis) to the last (Revelation) book. revealed to John in Revelation. This mystery was finally revealed by Jesus Christ Himself to John in a vision! Jesus Christ is the The sacrificial Ox. The Lamb of God who died for the sins of the world. (John 1:29) . The cross means covenant and completion/finished, being the last of the Hebrew Alephbet. 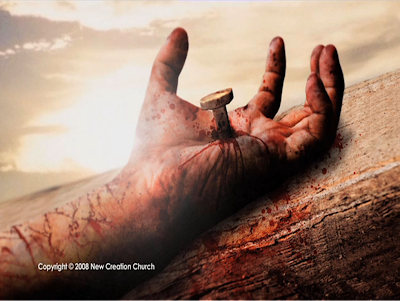 When Jesus hung on the the cross, He shouted "It is finished!" JESUS is the WORD, the answer to the riddle, the answer to all the puzzles of the heart and mind. His person, His being in man, completes. GOD designed man to be dependent on HIM. The first man could walk and talk with GOD in the perfect environment of Eden. When man fell, he lost his inheritance. Outside Eden, he can no longer walk and talk to GOD as he once did in Eden. The heyday of man soon became a mere distant fantastic children's story. The reality of Eden is too incredible, it can not be grasped by the natural mind of man. The scripture was written with GOD’s inspiration for man to know GOD. It was designed to aid man see GOD. The scripture is more than we know it to be. GOD in His richness and fullness, did not just write a boring literature to leave down here to shelves and dusts… a crummy source of issues for religiously screwed minds. NO! GOD has none of them. In fact, HE is a very interesting, cheerful, fun-loving GOD! HE made the first sentence of the scripture a challenging mind game. When rightly decoded, it tells of the whole history of man from Genesis to Revelation! 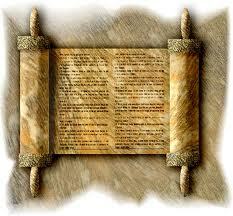 Moses wrote the first five books of the Bible (Torah/Pentateuch). Every stroke written on the scrolls tells a story on its own, and in every word a message is embedded. One single letter would be written deliberately smaller or larger, and even broken for this purpose. Every stroke was designed by GOD and all were carefully inscribed. These strokes were preserved by the scribes who carefully follow thousands of laws in writing a sacred scroll down the ages to this present day. A letter, even a stroke written in the scripture is a statement and is as relevant as an atom to a Physicist. Out from the very words on the scrolls, Moses supervised the making of the intricate architecture of the mobile tabernacle, including the articles of worship and the priestly garments. What happened in Moses' time was a rare feat. In the middle of the desert where food and water was scarce, the whole nation of Israel braved the desert in a very orderly fashion. 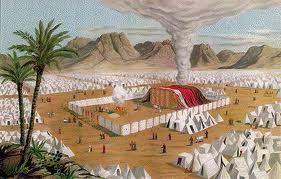 Tents arranged by tribes surrounded the tabernacle. The buzz of ceremonial sacrifices from morning 'til evening, continuing for years and years while in travel enlivened the central tent; the tent of worship. The Israelites were a sight to behold. Imagine a parade of over 2 million people tugging their livestocks and belongings, stopping to encamp from time to time in an organized formation. It was spectacular to say the least! If not for the murmurings, the people lived fairly well with constant miraculous supply of food that fed over 2 million Israelites whom GOD kept in amazing health. Equipped with the scripture, Joshua and the more than 2 million people crossed the Jordan river to enter the land GOD promised to Abraham. Watch this video about meditation. #202 - Meditate on God's Word & Receive Grace Upon Grace from Joseph Prince Media on Vimeo. In the ancient world of the Bible, names had meaning. Some names depicted the wish of parents or of God for a child to fulfill a certain destiny. Sarah received the same treat from God. She received ה grace and enjoyed the blessings from God. But while Hei was added to Abram's name, Hei was exchanged in Sarah's who was then called Sarai. Her name in Hebrew reading from right to left spells with a י Yod. 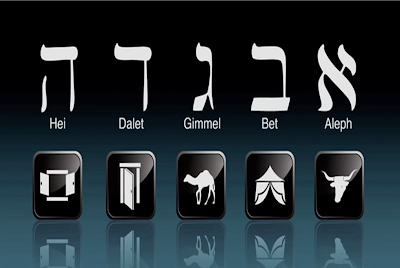 .י Yod is the tenth letter in Hebrew alphabet. It stands for a closed hand. It symbolizes action and personal possession. Action, in essence, manipulation. Manipulation comes from the latin word manus that means hand. For the most part, Sarai worked her way to get the promised son for herself. She went off-hooked offering her servant-maid to her husband making her more miserable with Ishmael's birth. Personal possession; me and mine was all over her person. She wanted what was already promised. God wanted to bless her. To do this, God removed the work of her hands. Number ten is a representation of everything she tried to do with her hands. The letter Yod with a number value of ten and picture of closed hand was removed and was replaced with ה (Hei) that represents the number five the number of grace. With that, there was no more condemnation of the past. Everything pertaining to the sins that was wrought in violation of the number ten י (Yod/closed hand), or the standards of the law (ten commandments) removed and exchanged with grace! From then on, her name became Sarah, a woman full of God's grace and favor. The Hebrew letter ה (Hei) spells wonder! 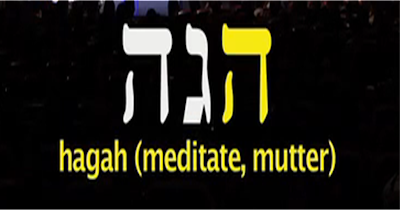 In Joshua 1:8 we see in Hebrew the word meditate is Hagah. Hagah (meditate) spells with two ה Hei(s). Read from right to left. Hagah is spelled הגּה (Hei, Gimmel, Hei). Gimmel, the 3rd letter in Hebrew Alphabet, has a picture word of a camel. Camel is a common vehicle of transport in ancient days. Hei, the fifth letter in Hebrew Alphabet is number five. Five is the number of grace. The word Hagah/meditate gives a message of "grace bringing more grace". When we read the Bible, we need grace to keep reading. And when we do read, we receive more grace. Meditating begins with grace from GOD, and meditating brings blessing of grace from GOD.